This is where it all began. It was 1973 and an audio business was born, number of staff one. From modest beginnings we’ve grown into the Oceania you see today, a complete live event technology company, with a specialised Sound division filled with vastly experienced and passionate sound engineers. Put another way, we are the largest professional audio provider in New Zealand. Want something heard? Our specialised sound engineers and technicians are a highly experienced and creative lot, and have worked all over New Zealand, as well as Australia, Asia and the Pacific Islands, supplying world-class audio for a massive variety of shows and events. You’ll recognise us from innumerable big, high-profile events, rock ‘n roll shows, festivals and public extravaganzas, but we equally turn our skills to broadcasts, corporate shows and meetings. Need some help with school speech day? No problem – we can have the microphone and self-powered speaker for the job. Want a team of specialised crew and engineers to stage a stadium-sized PA for 100,000 pairs of ears? 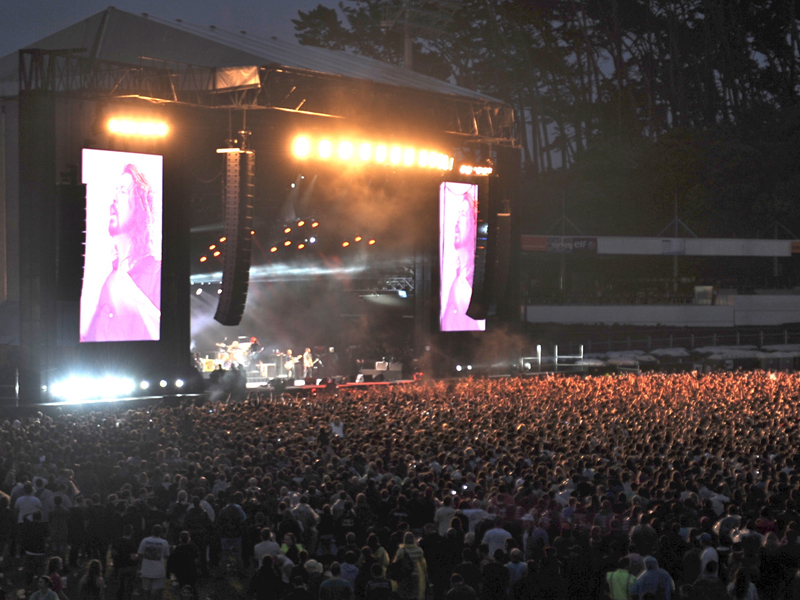 No-one has delivered the sound for more stadium shows in New Zealand than Oceania.